Featuring Tim Hodgkinson (Henry Cow, The Work) on Hawaiian laptop noisy guitar and keyboards, Mick Hobbs (Family Fodder, The Work, Officer!) on bass and Andy Wake (Unrest, Work & Play) on drums, The Momes were an unique power trio with an abrasive sound channeling post-punk, psych-prog and avant-rock. 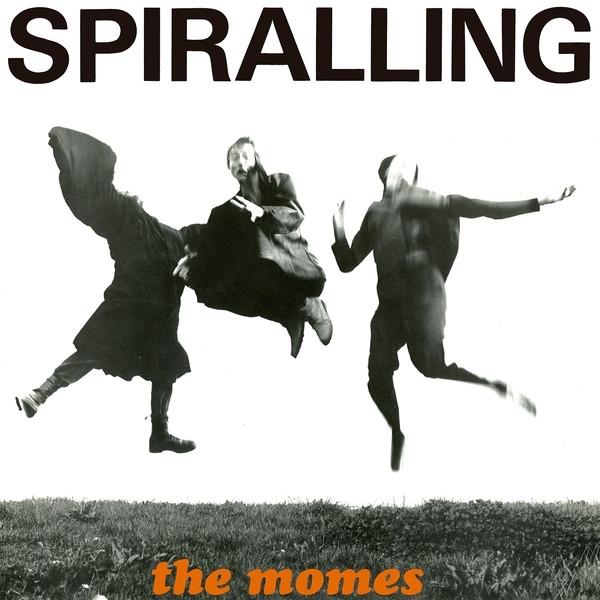 "Spiralling" is their sole album, recorded at This Heat's Cold Storage studio by Charles Bullen (This Heat, Lifetones) and originally released in 1989 on the Woof label (operated by Tim Hodgkinson and Bill Gilonis). Includes a bonus 7" with two tracks taken from the album sessions (originally released only on CD as bonus tracks). Digital download also includes a previously unreleased bonus track from the same album sessions. *Bonus 7" with two bonus tracks recorded in 1989. *Insert with liner notes by Byron Coley and rare photos / memorabilia. *Remastered from the original master tapes. *Free digital download card including one extra bonus track.